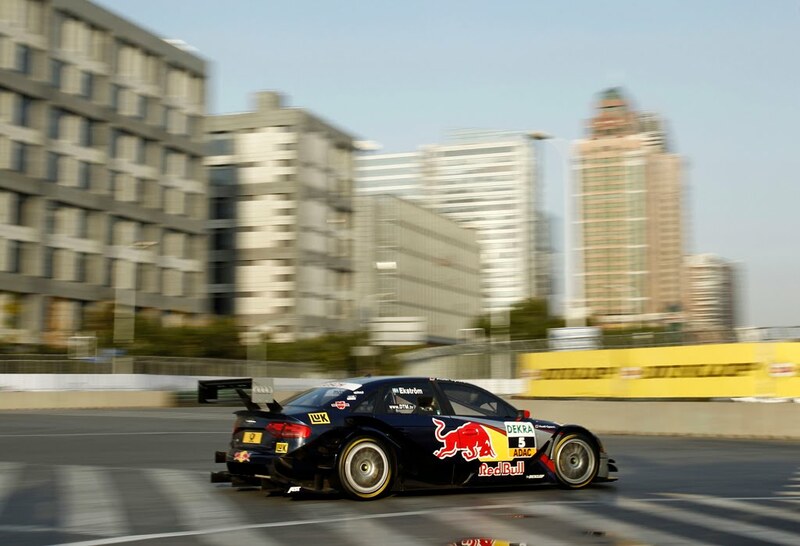 Last weekend marked the world finale of the 2010 DTM season. The year's final contest however, was staged far from both DTM's and Audi's European roots, with Sunday's race taking place in Shanghai, China. 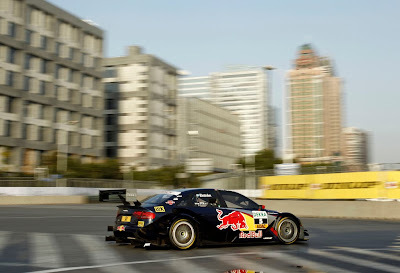 Despite a wreck in qualifying; two-time DTM champ, Timo Scheider managed a third place finish for Audi, followed by Martin Tomczyk in fourth. In addition to a strong finish, Audi Sport Team Abt driver, Miguel Molina was named 2010's DTM Rookie of the Year. All in all, a very notable ending to a fairly successful - albeit trying - DTM season for Audi. Ingolstadt/Shanghai, November 28, 2010 – Audi impressed the fans at the DTM’s world finale in Shanghai (China) with a strong showing. 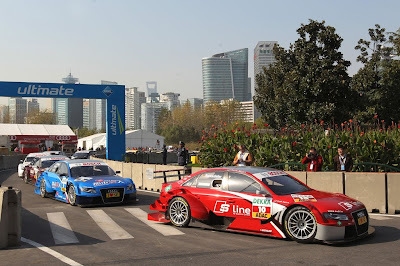 For many of the 19,000 spectators (throughout the weekend) and 1,400 Audi guests Timo Scheider was the man of the race. 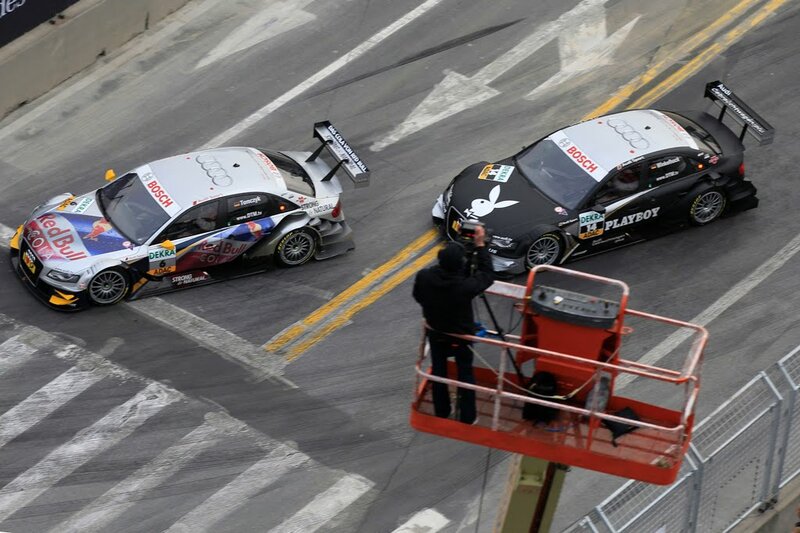 Just one day after his serious accident in qualifying, the two-time DTM Champion, assisted by a perfect strategy of Audi Sport Team Abt Sportsline, pushed forward from position four on the grid to third place. An early end of the race deprived the German who lives in Austria of an even better result. "My A4 was perfect today. If I had started from the front row I could have fought for victory,” said Scheider. "I’ve got to thank the guys who prepared the car again overnight.” The mechanics worked until 2 a.m. and continued at 7 a.m. to give their driver an optimal car again – which they clearly managed to do. 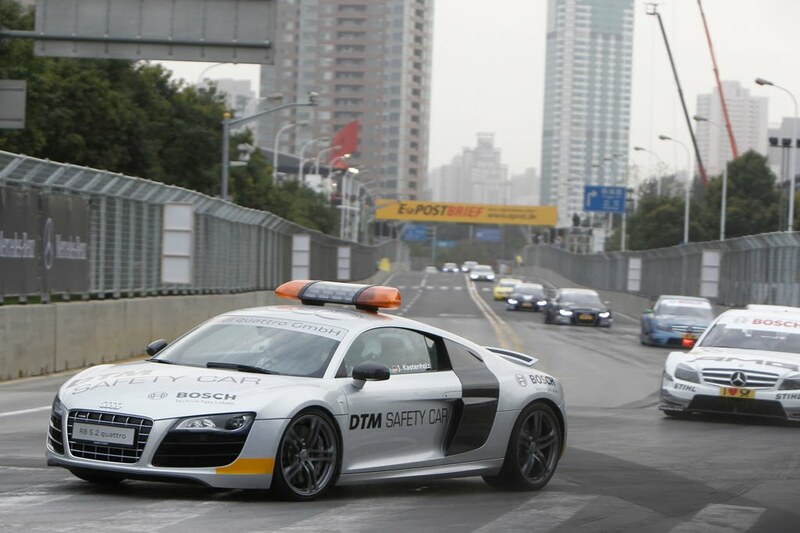 After the many incidents on both of the practice days the DTM finale was started behind the safety car and only went green after three laps. 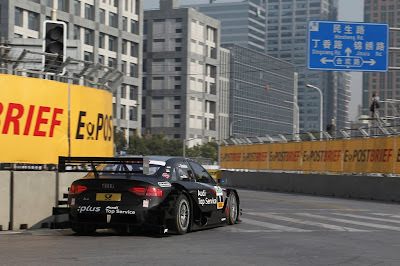 Timo Scheider put pressure on his rival in front, Jamie Green, from the outset and managed to bump him from third place thanks to well-timed pit stops. After the second tire change Scheider also caught up with Paul Di Resta in second place and put him under massive pressure. 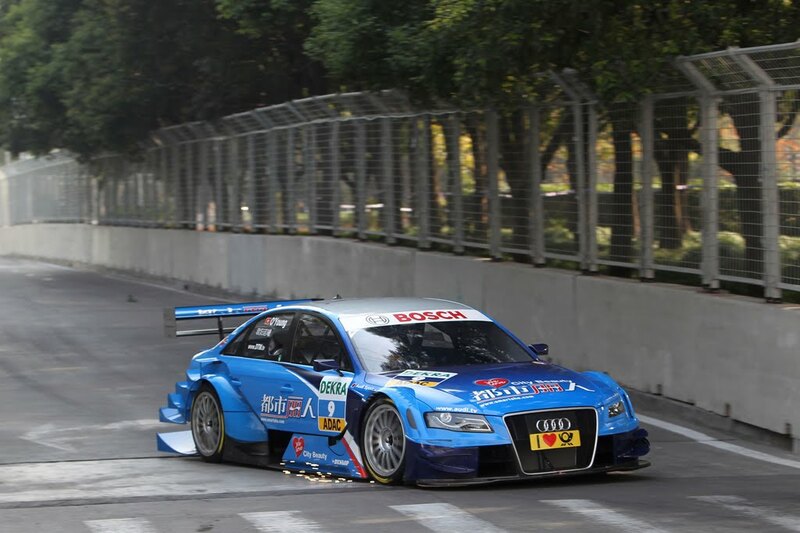 But before the Audi driver was able to start his first overtaking attempt the race was stopped early, eight minutes before the end, due to a mid-field collision and was not re-started. Impressive performances were shown by Martin Tomczyk and Miguel Molina as well who took fourth and fifth place. 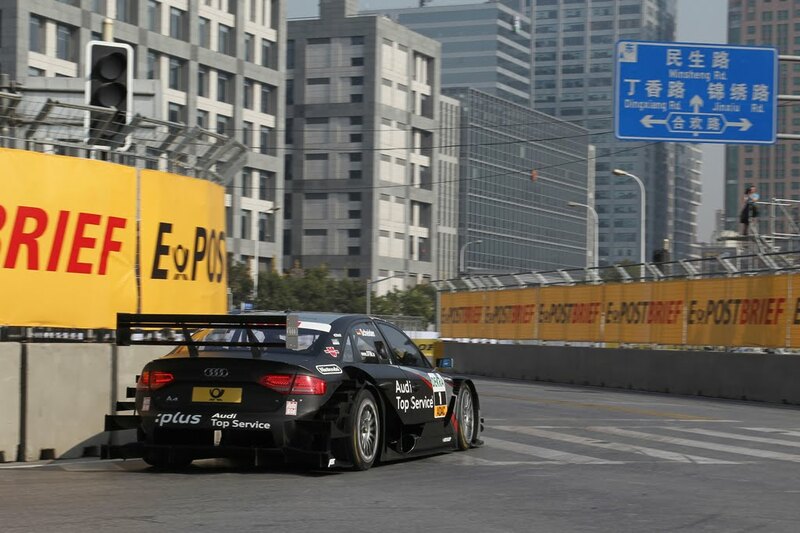 After starting from position eight Martin Tomczyk proved that it is certainly possible to overtake on the street circuit in Shanghai. With a bold but fair maneuver he bumped Jamie Green from position four on lap 33. Tomczyk also posted the fastest race lap of all Audi drivers. Miguel Molina shone with an overtaking maneuver against David Coulthard and came in for both of his pit stops very late which enabled him to pass Jamie Green as well. In the end the 21-year-old Spaniard in fifth place was the best driver of a 2008-specification vehicle. 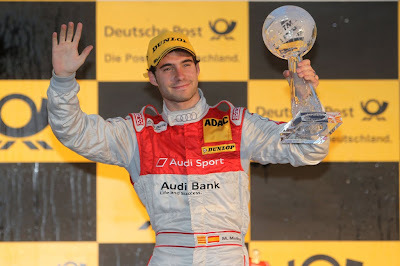 In tenth place of the standings and with a score of 15 points Molina finished the season as the most successful DTM rookie. 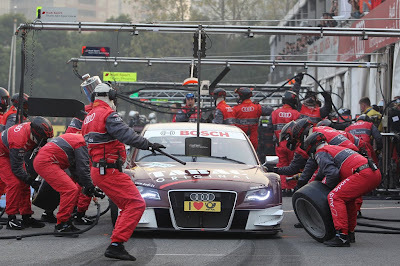 Markus Winkelhock (Audi Sport Team Rosberg) in seventh place scored points for the second consecutive time and confirmed the strong performance he had shown at Adria. Mattias Ekström had to let David Coulthard pass him shortly before the end of the race and in ninth place just missed out one point. Mike Rockenfeller, Katherine Legge and Oliver Jarvis finished the race in positions twelve, 14 and 17. Rockenfeller collided with Susie Stoddart in the final phase. 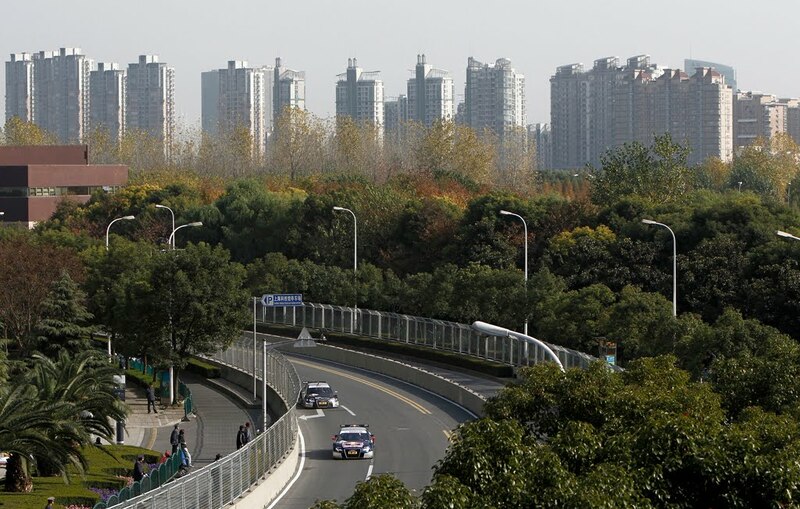 The incident caused the stopping of the race because the track was blocked. 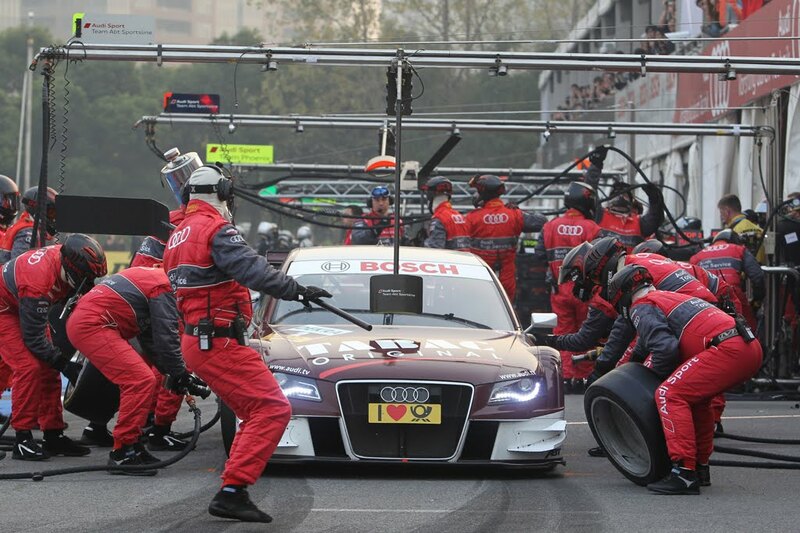 Oliver Jarvis had to come in for an additional pit stop after a component from another car became stuck under the left front wheel of his A4 DTM. Darryl O’Young was unable to start because the frame of his car had been damaged in his accident in qualifying.